The various facilities at Birch Bay Ranch are available to be booked by rental groups throughout the year. Please contact the office to arrange a booking or receive a detailed price list. 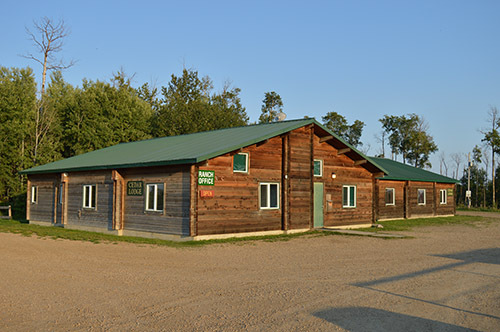 The McCaughey Lodge is our main lodge building. On the main floor of the Lodge is a dining hall that seats approximately 120 and a group-use area that includes a television, screen and large fireplace. Also on the main floor are washrooms and a gymnasium. The upper level of the lodge features two rooms: a boardroom with a large table, coffee and tea service and a television with a DVD player, and a comfortable lounge with couches, chairs and a television and DVD player. The Cedar Lodge is an alternate group use building. It includes a large meeting/group use area (accommodates 80 guests) and a conference room (accommodates 10 guests). The Girls' Dorm consists of three cabins with attached washroom facilities including showers. Each cabin sleeps fourteen with bunk bed style accommodations. Bedding not included. 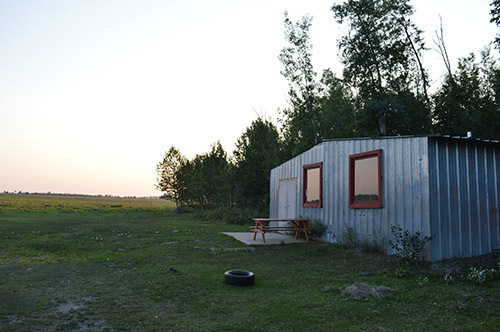 The Boys' Dorm consists of three cabins with attached washroom facilities including showers. Each cabin sleeps fourteen with bunk bed style accommodations. Bedding not included. 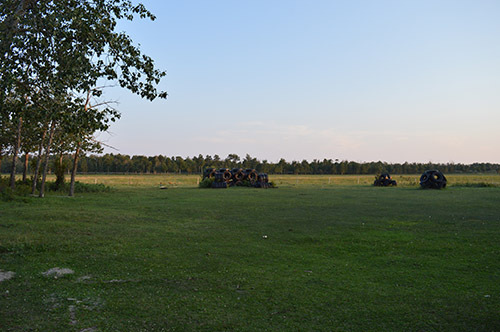 Our tenting field is a beautiful area out in our back pasture. It includes a large fire pit, a small building (no electricity) for additional shelter, as well as a small tire playground. Booking our tenting field includes firewood, washing water and drinking water, but does not include food or tents. 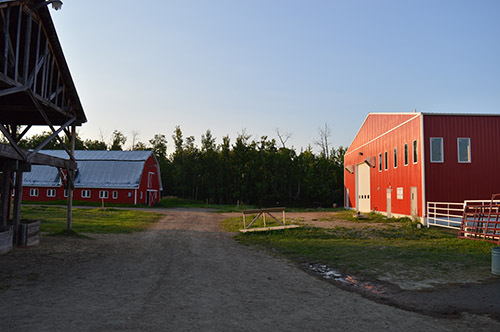 Our barn and large outdoor riding arena are the first things you see when you drive on Ranch property. 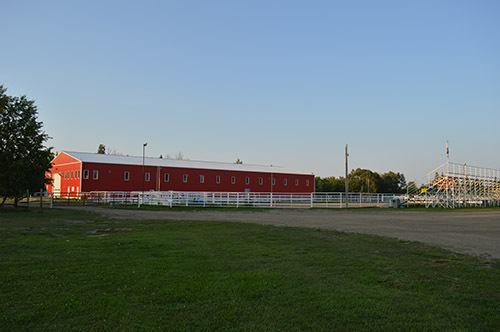 Our 100x196-foot outdoor riding arena is great for recreational riding and is the launching site of our trail lessons. 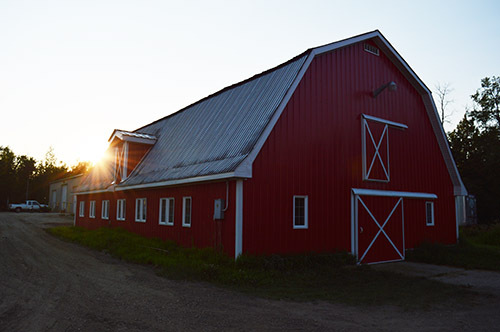 Our 80x200-foot heated indoor riding arena is perfect for clinics, riding lessons or private recreational riding, and can be booked for indoor trail lessons during the wintertime. 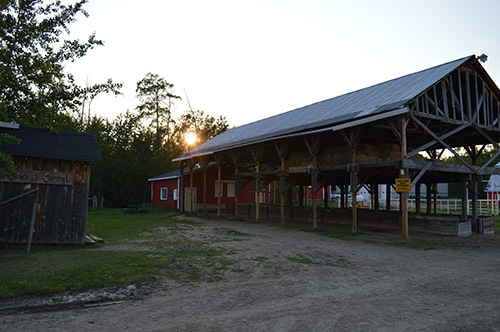 Eighty acres of trails provide scenic trail lessons and hay/sleigh rides. Our state-of-the-art ropes course is one of our most popular sites for group rentals and summer camp activities. Our ropes course consists of two climbing walls, three zip lines, rappelling, ascending, and the opportunity for numerous team-building activities. Also on our ropes course site is a low obstacle course and a day-use washroom. We have two different fields that can be used by groups for wide games and sports activities. 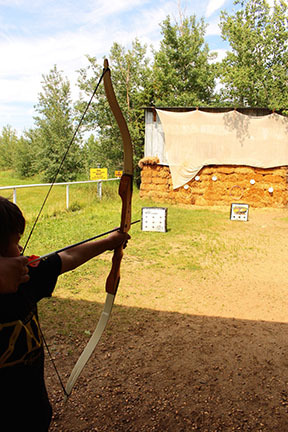 We have two archery ranges with straw bale targets. One is covered, and one is not. 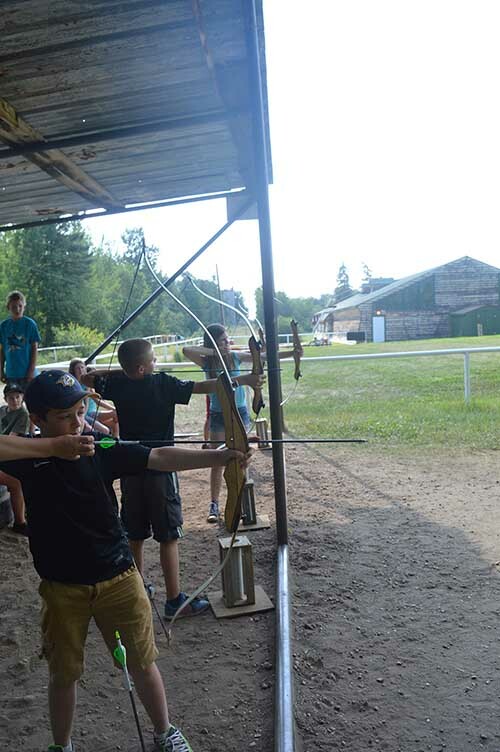 In the wintertime, you also have the option of shooting archery indoors in our heated indoor riding arena. We have a number of firepits around the property for your use. We provide wood, fire-starting materials and water for dousing.